How did Live Corners feature come about? What was the impetus behind its development? This was a feature long-requested by customers through various channels: customer visits, user forums, feature requests on Adobe.com, etc. When we presented customers with a list of potential features for the 17.1 release, Live Corners came out as the top request. That set the ball rolling. Was there a target customer for Live Corners? For this feature, we talked to a wide range of customers, from font designers to graphic artists to web designers; each customer saw the value the new feature would bring to their work. We kept going back to our pre-release customers at every stage of development — from concept to design to prototypes — showing them what we were building and incorporating their feedback. You are the product lead for Live Corners, but how many other people were involved in developing this feature? The team consisted of five-six developers and two QEs (Quality Engineers). I must admit that at some point while building the feature, I had a feeling we were getting nowhere. But it was because of the great team we had working on this feature that we were able to pull it off. What was the biggest challenge for you and the team? Our approach to creating corners and keeping them “live” revolves around several core algorithms. We generate the corners and grow them back to their original shape using math rather than remembering each corner’s radius and original form. One of the algorithms was turning out to be extremely hard to crack. In the next review meeting with Illustrator management, the team was given two weeks to figure out if the feature could be delivered in time. Despite being under so much pressure, the team refused to give up. Two of the Illustrator’s seasoned engineers, Amit Kumar and Varun Nair, were asked to pitch in and help with the problems: that really turned the tables for us. Over the next couple of weeks, the team burned the midnight oil and cracked all the algorithms. It was an incredible transformation that the team brought about during the two weeks. There were discussions in the meeting rooms, outside the rooms, in the lobby, on the floor, walkways. After so many whiteboards colored black, blue, and red we were back on track! On left, a typical whiteboard from the development process. 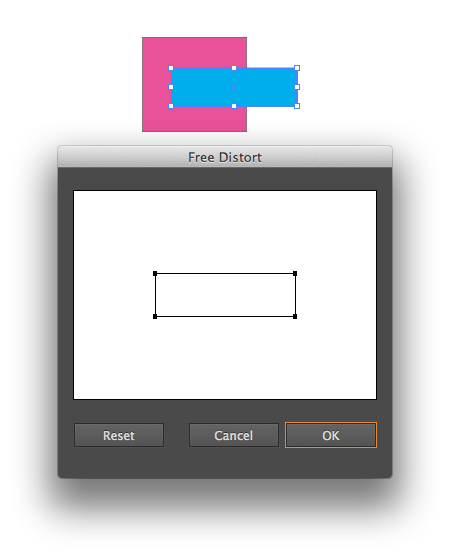 On right, Live Corners in action in Illustrator CC. How long did Live Corners take to develop altogether? Was there a particular moment of excitement or “aha” moment along the path to completing the feature? This feature was built in different modules that all had to come together to comprise the final feature. For example, one module contained the input fields to enter precise values in the Control panel or the Corners dialog, while another module dealt with the interaction of the widgets and the art on screen. Each of these modules was built separately and had to be plugged into the “core” when finished. The day all the modules were plugged together and we saw the feature working, that was the “aha” moment we all had dreamt of. In the next review meeting with the management the feature team was greeted with applause! Prabhat Mahapatra, user experience designer, and Yogesh Sharma, product owner. What are you most proud of when you think of about Live Corners? While Live Corners was a tremendous amount of work, we were able to do it within six months because we never had to undo and redo any of our work. As mentioned above, we kept going back to a core group of pre-release users, in multiple one-on-one sessions, to get their feedback during the feature development. This helped us build the right feature, with the most optimal experience, the very first time. Any other favorite features in Illustrator CC? It’s hard to pick just one or two… the new Pencil tool is definitely in a league of its own: the new tool gives you the power to draw smooth curves without compromising the fairness of the curves. I’m sure a lot of Pen tool users will find this tool handy for quick, precise drawing. I am big fan of Variable-width Strokes and Gradients on strokes. Combining these two features is extremely powerful and opens up a whole new horizon of possibilities. (Editor’s note: see Yogesh’s work with Variable-width strokes and Gradients on strokes in the sample art he created for Illustrator CS6). You’re very welcome, thanks for being an Illustrator customer! Why can’t they improve the existing tools? Why is this not a priority? The Distort tool, for example, has a window that is far too tiny to be useful in any way. It also does not show any context for reference when using the tool. This has been an issue for over a decade. Adobe’s QC is lackluster at best. It’s wonderful to see Adobe continue to invest in making Illustrator the best that it can be. Keep up the great work! This is almost complete repost of what I wrote at http://www.astutegraphics.com/blog/state-play/, where Anubhav Rohatgi said couple of words of his vision of improvements you make. Anubhav says about being open about Illustrator’s roadmap to their users. I can’t see how their work is open. The only place I could find where Adobe team shares about their work and plans is http://blogs.adobe.com/adobeillustrator/. There were no a single word about Live corners until release. And there is not a chance for community to participate in process and help Adobe to avoid those obvious bugs we discovered (http://forums.adobe.com/message/6066632). The post about developing Live corners says there were only two QEs and no testers. 6 months in rush to copy existing and far more better implementation! Astute Graphics didn’t say much about developing too, but I understand their point. They are small company and ideas don’t cost much. They have to keep silence to protect their intentions. But Adobe is almost monopolist! They shouldn’t afraid of somebody steals anything! Anyway Corel has Segment reshape for years! Nick said to me it took 2 years to develop VectorScribe2. Fourfold more time to test! Free beta! Responsible support crew! I’m very sorry to hear about “simplification of existing tools” politics that Adobe’s Sr. Product Manager mentioned here. I understand that Era of Touch is coming, but I don’t understand “improvements” should spoil my workflow. There’s enough place for everybody.